I’m in Kelowna and had the opportunity to stop in at Tree Brewing’s Beer institute. The “beer geeks” there explained to me that this small craft brew pub is a tank to glass operation. No filtration, no kegs, just pure beer. Awesome. Brewing about 10 hectolitres there on site they have a variety of beer options. I tried the hophead IPA, a 65 ibu nice hoppy beer. This isn’t my standard post. I haven’t posted in a while and so am easing my way back in. I hope to get to the main brewery on Tuesday and see if I can’t get more details on the operation. It will also give me a chance to try out more of the beers. 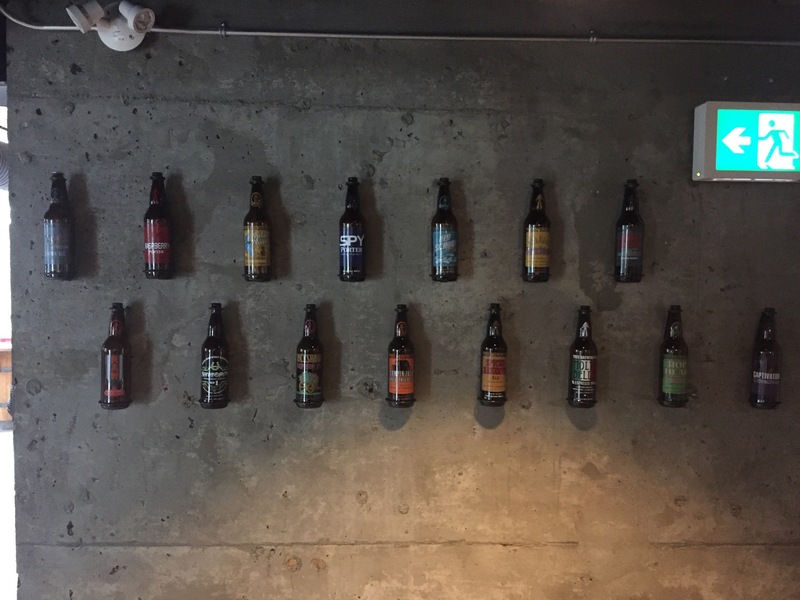 We get a variety of Tree Brewing’s beers in Winnipeg which indicates a fairly good distribution setup. The HopHead is a dry-hopped IPA using perle, centennial, cascade, Columbus and crystal hops. The malts are pale, light Munich, Vienna and crystal. Overall it’s a nice bitter beer that tastes really crisp on the finish. It’s refreshing, which is nice, with that really good dry hop tannin finish that I personally enjoy. I wanted to post this quick update and I’ll be starting to post more regularly once again. I’ll post a more full review of tree brewing when I get back to Winnipeg. Until then some small posts to wet the appetite.